New Delhi : Team New Zealand finally got a chance to cheer on Indian tour as they marked six-run victory in the second ODI against India at Delhi's Feroz Shah Kotla stadium. With this, New Zealand has leveled 5-match ODI series 1-1. Indian all-rounder Hardik Pandya and fast bowler Umesh Yadav stitched 49-run 9th wicket partnership to give goosebumps to both New Zealand team and audiences. 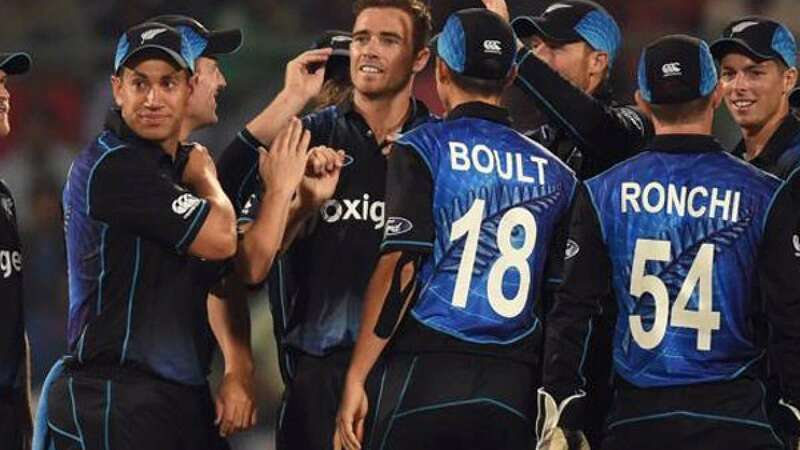 Kane Williamsons scored 118 runs and Tim Southee's brilliant three wickets ensured India never reaches the target. Earlier, India had won the toss and elected to bowl first. Despite early wicket of Martin Guptill, the black caps managed to score reasonable 242 runs for the loss of 9 wickets. Kedar Jhadav scored maximum 41 runs in 39 balls for India. Williamsons was declared man of the match for his brilliant ton that took his team to victory.